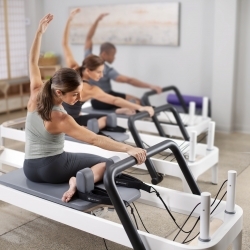 Experience the benefits of a Pilates workout on the Reformer, a piece of Pilates equipment. 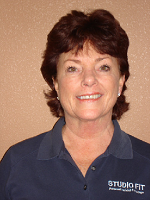 Our method combines traditional Pilates with a more athletic and progressive approach to training. Our mission is to give our clients a program that is functional and useful to enhance their daily lives. Pilates is the study of Contrology and on the Reformer one can perform hundreds of exercises to attain a uniformly developed body. This is a great cross training tool that changes the way your body looks, feels, and performs. We offer one to one and buddy reformer training. Mom of One and Grandma of One! What is the cost of your Pilates (Reformer) class? i am interested in pilates…i have no idea what it is or how to do it. I started yoga to help with some a lower back issue (sciatica, herniated disc) and my doctor said that she recommends pilates over yoga. So i am here wanting to get information and to check your times and cost?